The group from East Sussex, who have released their new album Strangeland, also claimed that the charts are in "a sorry state", reported the Daily Star. 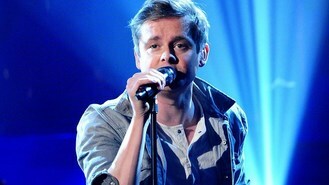 Frontman Tom Chaplin told the paper: "The charts are in a sorry state. It's all just noise to me. The 33-year-old singer added: "I put on MTV occasionally and it's just a racket. It bores me. Fake pop has taken over, terrible Europop and s*** R&B that makes me think, 'What's going on? Didn't this rubbish sound tired in the Nineties, let alone now?'." Tom, who will play V Festival in August alongside bandmates Tim Rice-Oxley, Richard Hughes and Jesse Quin, also said that he didn't feel up-and-coming talent are getting the opportunities to be heard. "There's loads of great stuff out there now, which hasn't a hope of making the top 40. There's an exciting world underneath the charts but the top 40 is so disappointing these days," he continued.